Dalaran a été présenté comme la ville neutre pour l'Wrath of the Lich King ", similaire à la façon dont Shattrath a été présenté comme la ville neutre pour l'extension The Burning Crusade. La ville comporte des zones qui sont spécifiques à la faction de la même manière que Shattrath est divisée entre les l'Aldor et des Clairvoyants. L'Enclave argent peut être consulté par les joueurs de l'Alliance (gardée par le Pacte Argent); de même, Sanctuary Sunreaver ne peut être consulté par les joueurs de la Horde (gardé par les Sunreavers). Le reste de la ville reste neutre. Similaire à la façon Hurlevent et Orgrimmar a des exemples dans chaque ville-la palissade et Ragefire Chasm respectivement-Dalaran a sa propre instance: The Violet Hold, les prisons magique où toutes sortes de bêtes dangereuses et les lanceurs de sorts sont détenus. A un moment, même le prince elfe Kael'thas Haut-soleil était un forçat là, mais a été sauvé par Lady Vashj. Également semblable à Shattrath, il n'ya pas de maîtres de classe, mais étant donné l'histoire de Dalaran, il ya des instructeurs mage. En outre, Grand Master Trainers mai également être trouvés dans Dalaran. Portails à chacune des capitales de l'Alliance et la Horde, ainsi que d'un portail donnant accès à la ville de Shattrath, se trouve dans la Horde et l'Alliance de sections spécifiques de Dalaran. Enfin, un formateur un portail internet peuvent être trouvés à la porte de Violette, ainsi que des portails champ de bataille et Maître de guerre, situé au bas-ventre de Dalaran. Voler au-dessus de Dalaran est maintenant possible à condition de garder une saine distance par rapport au sol. Bien que Dalaran est dans les airs, il est encore possible pour les joueurs sans monture volante, ni son spot de vol pour se rendre à Dalaran. Voici les méthodes qui peuvent être utilisées pour obtenir Dalaran. Mages peuvent apprendre à se téléporter vers Dalaran, après avoir terminé la mise en phase court Dragonblight quête de Dalaran (Alliance / Horde) disponibles au niveau 71. Les Mages peuvent apprendre à ouvrir un portail vers Dalaran, au niveau 74 à partir de l'entraîneur portail situé dans Dalaran. Les démonistes peuvent également convoquer des joueurs de Dalaran. Toute personne qui a atteint le niveau 74 peut prendre la quête le royaume magique de Dalaran (Alliance / Horde / neutre) à partir de l'un de plusieurs membres du Kirin Tor. Cette recherche visera à offrir un téléport-temps pour Dalaran. Une fois qu'un joueur est arrivé à Dalaran, ils peuvent terminer la quête d'apprentissage et sortir: la façon magique pour leur permettre l'accès futur à Dalaran en utilisant le cristal de téléport dessous de la ville. La quête nécessitent le niveau 68. Plusieurs niveau de 80 anneaux qui se téléporter le joueur à Dalaran sont disponibles pour chaque 8500G. Ils peuvent être inscrits pour un montant supplémentaire de 1250g. Tout joueur qui a appris Cold Weather Flying mai se rendre à Dalaran. Cold Weather Flying nécessitent le niveau 77 et de coûts de 1000g. Tome of Cold Weather vol, toutefois, peut être utilisé au niveau 68 + caractères pour atteindre Cold Weather Flying, mais l'achat du tome ne peut être fait au niveau de 80 caractères. cc j'aimerais savoir ou je peut trouver les piece que l'on recupere avec la competence "pêche" a dalaran... merci a vous.. I was hoping that blizzard would incorporate this into the game it was one of my favorite places. From When? I thought this was new. Sorry if its obvious but I'm quite new to this. i wonder how will dalaran be rebuilt, for those who dont know ARCHIMONDE OWNED DALARAN! It is Dalaran, if I remember correctly Blizz rebuilt and relocated the Mage city to Northrend for WotLK. Could be wrong though. Correct, this is a city for both sides. Theres this big whole were the pink buble used to be near UC. Tjek out www.deathknight.info for news and others stuff about wotlk. Im not going too say it wasn't either till the specifics have been verified in the mean time might I assume this is not the dalaran your familiar with. This might be a past Dalaran or Future Dalaran a new instance for the Caverns of Time? Again just a thought. Hm.... after RoC Dalaran was rebuilded and covered by powerful mages...and now mages use all they powers to rise Dalaran in sky for war with lichking.. i am wright? For those who don't know yet Dalaran will be the new neutral City like Shattrath was in TBC, not sure what the reasoning will be behind it but I'm keen to find out. I believe it will be floating but will still be accessible without using a Flying mount. anyone know when expansion comes out???? correct me if im wrong but the pink bubble that protected this place was because it was being rebuilt cuz i remember in warcraft archimonde destroyed the city also as it seems the city is floating is it possible it can move to northrend like naxxramas is? I *think* the big pink bubble was some kind of defense mechanism. I'm not 100% sure where I got the idea from, could have been one of the Kara key quest NPCs. Like the bubble was formed by powerful mages to protect the city and was almost impossible to take down? violet citadel that was in wc 3 where jaina chatted with the archmage, was in ex-cross island, now know as fenris isle. it was capital of Dalaran. interestingly, dalaran has always been alliance city, now it is neutral, but dalarans head mages (Rhonin, Khadgar and Jaina) know that hordies are not armed madmans. Archimonde did more than destroy a tower, he made the rest of the city rise up (from that sand model thingymobobble) then hugged it to death :D. even a demon lords hug will own humans. anyhow, he completely obliterated the city, but it was the pride of magic to pretty much all of azeroth, of course they were going to rebuild, it had its own kingdom (the kingdom of Dalaran, formerly headed by Antonidas and a council of high ranking wizards). any1 know any privat wotlk servers? I am guessing that Wrath of the Lich King will release somewhere between November and December. Of course, its just a theory, haha. A pretty bad one at that. Pressing and shipping won't take 3 months, and they don't need to be finished with the beta to do it. They didn't wait for it in BC, why should they now? WotLK will probably go gold about one month before the end of the beta, with release being maybe a week or so after the beta ended. Dalaran is a place related to many famous characters of the Warcraft lore, like Jaina Proudmoore, the leader "of the human survivours of Lordareon" and the current ruler of Theramore, Kael'thas Sunstrider, everyones favourite prince, Krasus or the Red Dragon Korialstrasz, who was the one who gave to Rhonin the missions we heard about in Warcraft books, being also a sworn enemie of Deathwing, the Black Dragon and of the Lich King. Last but not least, Dalaran is related to Rhonin, the one who seems to be the current leader of Dalaran. Dalaran was also destroyed by the demon lord Archimonde. So, after you see, Dalaran is related to many important WoW characters. While Shattrah remembered me about New York (Pick-Pocketers, "noble people", different factions blickering among themselves, etc...) I hope that Dalaran will be a warcraftian Hollywood: Full with celebrities and storys and a place where things happen. I personally cannot wait to visit Dalaran, and i hope I won't be dissapointed, just as I wasn't dissapointed with Silvermoon, who was a cooler zone the I suspected. Dalaran is a flying city now in WotLK, so you can fly directly up to it with flying mounts. However, even without flight, there is a Teleporation Crystal located at 28.46, 39.64 in the Crystalsong Forest. Mages learn the self teleport skill to this area at level 71. Well i am a bit dissapointed. Shattrath is Dreanai city and Blood Elven but it was build by dreanai. Now Dalaran is more Human then Horde city. Why we dont have some Legendary cities? Well we have but they are not shown WHY ?? Orgrimmar and Thunder Bluff are about as close to legendary horde cities you are going to get. In WC2, orcs came over through the dark portal and were defeated and forced into servitude to humans. Anything they built on Azeroth was destroyed, and most of it was temporary. After Thrall escaped, he built small outposts until he migrated to Kalimdor and built Orgrimmar. He brought the trolls, who have cities (ZA, ZG) but almost every other troll in WoW is hostile to horde trolls because they think of the orcs as weak (because they were defeated). So horde trolls have no place to call home except the horde. Tauren were driven out of the Barrens by Centaur, and up until Carine reunited the tribes into a single entity they lived nomad on the plains. They never established a legit city until Thunder Bluff. In addition, all except the northern reaches of Kalimdor were desolate until the horde came over. Night Elves were the only ones to live there, and they mostly slept and stayed in peace with nature, so expansion was not a top concern considering they were immortal. Meanwhile, dwarves and humans lived on Azeroth (the continent) for the entire history of warcraft, established numerous kingdoms and didnt have their whole planet destroyed (Draenor). So while the humans and dwarves built cities like Ironforge and Stormwind, Dalaran, Lorderon, the horde were still in Outland before Guldan destroyed it, and even then they were in constant war with Draenei, demons and such. Humans have so many cities because they went the whole time leading up to Medivh opening the dark portal in complete peace for the most part. (They emerged after the sundering, so they probably had no conflict with elves and had peaceful relations with Silvermoon). Also, the forsaken only originated in the last 15 years of warcraft history, since Sylvannas broke out of Nerzuls control and raided Lorderon and built UC. Maybe Sylvannas will take over Icecrown when the Lich King ether dies or escapes Azeroth, and turns Northrend into a forsaken empire. Considering they made UC is such a short time. But about Dalaran, Blizzard said there will be 2 dungeons in the city (like RFC/Stock). 1 of them is confirmed, the Violet Hold the dungeon of Dalaran. Dalaran is controlled by the Kirin Thor, a group of the best mages of the Alliance (Gnomes, Humans and Hgh Elves), besides Dalaran they control smaller strongholds and settlements: Nethergarde Keep, Kirin'Var Village and Ambermill. Dalaran is completly destroyed for 2 times. In the Second War the Horde destroyed Dalaran and later between the Second and Third War, when Dalaran was rebuild already it was attacked, but not completly destroyed to steal a magical artifact from them. In the Third War Archimond one of the lords of the Burning Legion destroyed Dalaran. After the thrid War (in the time of WoW) Dalaran was still destroyed, and only a few buildings remained. In WotLK Dalaran is rebuild and replaced. I know all that you said and i didn't think of main cities lol. I thought of "contested" neutral cities. Horde doesn't have any! Shattrath was build after the attack of BE on Dreanor and Dalaran was the city of Mages of Kirin Tor, mostly humans. So what i was saying was that horde has no neutral legendary cities. Orgrimmar is youngest city, It was named by Durotan's (Thrall father's) close friend Orgrim Doomhamer who gave Thrall his mace called Doomhamer itself. And the zone where orgrimmar is has name by thrall's father. Thunder Bluff was build a bit before it by Cairne leader of Bloodhoof tauren. Human's Stormwind was only an post wo defend them from orcs from dark portal while Lorderon was main city. Dwarfes was all separated and lived underground before War of the 3 Hammers where Wildhammer Clan, Dark Iron Clan and Bronzebierd clan fought and Bronzebierd won and become Ironforge Clan. 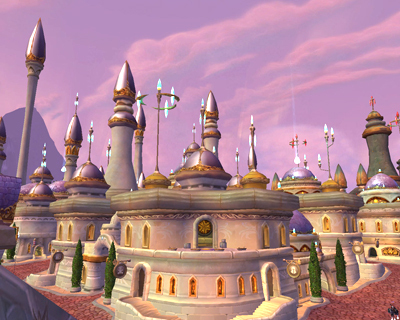 Gnomes has their own city once named Gnomeregan distoryed buy troggs. And yea Medivh was in my opinion only one "normal" (in brain) and smart human. if northrend is part of the world shouldnt we be able to use flying mounts anywhere!?!?!?!? Blood elves are a race composed of former high elves who renamed themselves in honor of their people that were killed during the siege of Quel'Thalas by the Scourge during the Third War. So Ryxis and V1ind1c4t0r are both right. The high elves did indeed 'ally' with the human nation of Arathor and they did indeed learn them the ways of the Arcane (and Fire/Frost as well, perhaps, since mages have those skills as well?) Ryxis said the blood elves allied with the humans, well technically thats true. They just called themselves differently. At the time, they were still called high elves. Since Dalaran has been neutral since Lands of Conflict, Dalaran has been announced as the neutral city for the Wrath of the Lich King expansion, as Shattrath City was introduced as the neutral city for the "Burning Crusade" expansion. One thing to take into consideration is that three of Dalaran's best wizards (Khadgar, Jaina, and Rhonin) have had dealings with the Horde in the past, and Antonidas studied the effects of the Orcs' lethargy extensively enough to know that they could be reasonable in the absence of their demonic bloodlust, explaining possibly why Dalaran could have dealings with the Horde, especially against a common enemy. Another factor to consider is that many Forsaken and Blood Elves were formerly citizens and even rulers of Dalaran. As of the current phase of beta testing, the city contains areas that are faction-specific in the same manner as Shattrath is divided amongst Aldor and Scryers. Certain parts of the city can only be reached by Alliance players while others are strictly for Horde use. It is difficult to tell what will be in these sections as Dalaran is fairly rough at this time. The majority of the city remains neutral. Evidently the Blue Dragonflight, led by Malygos, has declared war on all mortal magic-users. In response to this crisis, the city has been moved (likely with the bulk of the Kirin Tor and most available resources) to levitate high in the skies above Northrend, north of the Dragonblight. It was implied that Rhonin may be the leader of the new Dalaran, Jaina being on Theramore Isle and Khadgar now in Shattrath. It will act as the neutral sanctuary city for the continent, similar to Shattrath City in Outland, and can be accessed by either foot or flying mount. There will be an instance or even two instances in Dalaran, like in Stormwind or Orgrimmar. Like Shattrath, there are no plans to include class trainers or an auction house. Grand Master trainers for each profession will be available in the city. There will be portals in the Alliance and Horde districts of the city, connecting to the faction capital cities and Shattrath. There will also be portal trainers in both districts. is there coming a shattrath portal to dalaran? Is there a freaking Auction House in Dalaran? Inquiring minds want to know. For you warcraftpets.com fans, the owner of the site, Breanni, got a npc that looks exactly like him (her if you look at the owner as Breanni, not real life identity.) The ingame Breanni sells new pet items to use with your pets, like a leash and toy ball. This npc will be located in Dalaran. heres my question since you know in hillsbrad horde killed alot of dalaran mages so does that effect us or not? but that means it's actually put in northrend and that's wrong. it should be in alterac mountains. Wait, did Dalaran just bubble-hearth? is it going to be a neutral city like shattrath city? Currently on the beta you need to wait till you're level 74 and speak to Image of Archmage Aethas Sunreaver at Angmar's Hammer before you can enter Dalaran (though you can get a mage's portal or a warlock's summon there instead). I assume the same applies to the Alliance. As far as I know, Dalaran is at the near western edge of Northrend, which will probably make going to the Eastern parts of Northrend a pain. I dont know if the guards are either protecting the buildings or entire sides. It will be similar like aldor rise and scryer tier, seperated by faction and with guards that boot you out if you get close. hey when Wotlk comes out will there be an empty space where darlan used to be? Currently the only class trainers in Dalaran are Mage Trainers, just behind the teleport crystal. I am willing to bet that Dalaran is not a floating city and will be openly accessible to those with WOTLK from Hillsbrad Foothills, although sadly this would mean that the Allies would spend even more time raiding Tarren Mill which is pathetic right now. Good question. The giant bubble where it was will now be gone as will the remains of the city that were under the bubble. So I'd suppose there would be nothing left but the remains outside of the dome that are accessible in current BC WoW. Can any beta tester validate this for those of us who would like to know? I'd assume there would possibly be a giant crater, or maybe even the remanents of the bubble. Who can tell? Personally I think they could just place a tonne of ruined buildings like those that surrounded the bubble to begin with. A prelude to the removal of the Kirin Tor city. Lol, was going to give corrections to Zanny's write up on lore, but I see that everyone else has covered it. And just to be clear, the Trolls were saved by the Horde from the Darkspear Isles after a possible demonic or undead invasion (can't exactly remember). Being thankful to Thrall and his Horde, the Witch Doctor who was leader of the Darkspear tribe committed the Trolls to the Horde in the new built city of Orgrimmar, considering their island homes had been overrun. Ive played the beta and currently where the bubble was in Hillsbrad there is now a giant crater with pieces of floating rock, and there is a purple mist throughout the area, the teleport to Dalaran is currently located in Crystalsong Forest, it is a blue crystal amongst some Night Elf Ruins, although to use it you must use the crystal on the Dalaran side first. It will be. There will be 2 twin crystals, 1 in Dalaran, near the Portal Trainer, and 1 in the ruins under Dalaran. The crystals port you each in the others location, much like Undercity/Silvermoon porters. The crystal porting you to Dalaran can be found under the great city, in the ruins, as I said, but if you don't know the thingy I am about to say, it can be quite tricky to be found. The location of the crystal in the ruins is surrounded by a small old-Dalaran like shield. The shield is small compared to the old-Dalaran one, of course. As a side note, you should know that you have first to use the Dalaran Crystal first in order to be able to use the Ruins Crystal. I don't know how do you get into Dalaran for the first time without the help of those tricky crystals. I personally got there with the help of a friendly mage. Anyway, it is a great city, in which it is really much funnier to chat, LFG or skill up professions then in Shattrah. Worth begging for a portal/summon when the game will release ;). There is a large, gaping crater in place of the dome, though there is some purplish smoke around the site — possibly residue from magic dome or the city's (literally) earth-shaking exit. There is also a new map of Alterac Mountains, showing the crater on Dalaran's previous location. does anyone know who will lead dalaran? What's going to happen with the Bubble Dalaran from Alterac? and @ Tickeroo, all i know of the Gnome Lore is that they used to built great machines that greatly helped the Alliance... but then were thrown out of their City (Gnomeregan) by Troggs, and then they took refuge with their Dwarven allies. Blizzard then made Gnomeregan a lvl 20 dungeon so i highly doubt Gnomes are gonna get it back anytime soon unless they make a World of Warcraft 2. Anyone have something to add to the Gnome Lore? That doesn't make sense, sorry. The Blood Elves were not even in existence by then though the Highborne were,.. In fact the Highborne, lead by the lovely Azshara, still technically WERE Night Elves in appearance and heritage, in fact she was a main component of the eventual invasion of the Burning Legion. High Elves and Highborne are completely different, the High Elves in fact were a branch developed after the Highborne had already invited in the demons. Blood Elves are the survivors of the High Elves, but their green eyes are a result of fel-taint in their blood (like the green skin of the Orcs). On top of that, the High Elves were more directly involved with fighting off the Scourge afterwords, suffering eventual betrayal by the Alliance until Sylvanas extended a nostalgic/sympathetic hand from the Horde. There is no way to link the Blood Elves to the Burning Legion, besides their desperation for magical energy and Kael'thas betraying them. They hate the Legion and Arthas as much as anyone else, if not more for almost extinguishing their entire race. what zone will Dalaran be in? what i mean is since they have got Shattrah in terrokar forest what zone is it going to be in? LOL!i just dont seem why blizz gives us these yet BEAUTIFUL places and makes it a neutral city.. You can just look at Shatrath for example.. You get 5 Dc-es when you just fly to the portals.. now when alot new players will come within WOTLK i think this is gonna bee the laggiest city in the game..
Archimonde's Hand of death hits Dalaran for 1,000,000,000 damage. Arcane Bubble fades from Dalaran. Get a better connection and a better PC. Shattrath is not lagging at all on live servers. And also, on the beta, there isn't any bigger lag in Dalaran then on the other zones. Tauren were nomadic tribes similar to centaur until Carine united them after they were driven out of Mulgore. Up until that point, they had no established society and simply worked to live as one with the Earth Mother. After that they established residence, which explains the lack of tauren settlements in Mulgore. Does Dalaran really think going to Northrend, the home of Malygos and the Blue Dragonflight, will keep them safe when there on the same bloody continent? i mean, Dalaran's meant to be a city full of nerd wizards! uummmm didn't archimonde destroy dalaran? Kind of lame that characters can't really get into Dalaran until 74, when NPCs in the towns around Dragonblight port you there. With Shattrath you could just ride in. Getting to Dalaran as Horde is very easy once you've hit 74. Go to Agmar's Hammer and you will have a quest available from Image of Archmage Aethas Sunreaver in the main hold. He will then teleport you directly to Dalaran. The Gnomes weren't even around until WoW. They are the only real 'new' playable race introduced. Now with the patch 3.0.2 is Dalaran accesable? does it look like silvermoon to any1else? Thats cuz the Gnomes were not in WC 1, 2, or 3, Blizz mad them up for WoW. As of patch 3.0.2 (Echos of Doom -- WotLK pre-release patch), The old resting place of Dalaran was replaced with faint barrier along with a massively deep crater. Is it just me, or is the architecture of Dalaran City vaguely High/Blood Elf-ish? EDIT: Also, for those who participated in the beta, how many NPCs occupy the City? Enough to possibly create some framerate issues for those with lesser computers? I know Dalaran is in Northrend, but wich part of Northrend? You cannot use the Dalaran Crystal at (15,43) until you have used the crystal in Dalaran, i have confirmed this on a lvl 37 taking a very long time to get there to find out. In case you guys are wondering of an easy way to get in before level 74 (and you aren't a Mage) all you need to do is know a Mage or any person that can get in there. Have a person that is in Dalaran Queue you up for any battleground and then once you get into that battleground you can leave it and viola! You are now in Dalaran. say, if dalaran is in the air now, how will we get up there without our flyers? 1. Mages can learn to teleport to Dalaran after completing the short Dragonblight quest Attunement to Dalaran (Alliance / Horde) available at level 71. 2. Mages can learn to open a portal to Dalaran at level 74 from the portal trainer located in Dalaran. Warlocks can also summon players to Dalaran. 3. Anyone who has reached level 74 can complete the quest The Magical Kingdom of Dalaran (Alliance / Horde) from any of several members of the Kirin Tor, which will teleport them to Dalaran once. 4. Once a player has arrived in Dalaran, they can complete the quest Learning to Leave and Return: the Magical Way to allow them future access to Dalaran by using the teleport crystal below the city. The quest requires level 70. 5. A level 80 ring (melee / caster) that teleports the player to Dalaran is available for 8500g. 6. Any player who has learned Cold Weather Flying may fly themselves to Dalaran. Cold Weather Flying requires level 77 and costs 1000g. 7. Any player who is already in Dalaran can transport their party members there by joining a battleground as a group. Upon leaving the battleground, all group members will appear in Dalaran. This requires that the group members be in the same PvP bracket as the party leader. Mages can learn to teleport to Dalaran after completing the short Dragonblight quest Attunement to Dalaran (Alliance / Horde) available at level 71. Mages can learn to open a portal to Dalaran at level 74. Warlocks can also summon players to Dalaran. Anyone who has reached level 74 can pick up the quest The Magical Kingdom of Dalaran (Alliance / Horde / Neutral) from any of several members of the Kirin Tor. This quest will offer a one-time teleport to Dalaran. Once a player has arrived in Dalaran, they can complete the quest Learning to Leave and Return: the Magical Way to allow them future access to Dalaran by using the teleport crystal below the city. The quest requires level 68. Several level 80 rings that teleport the player to Dalaran are available for 8500g each. Any player who has learned Cold Weather Flying may fly themselves to Dalaran. Cold Weather Flying requires level 68 and costs 500g. I just got a warlock summon an hour ago, I wasn't even level 71! This is a spooky looking, Alice-in-wonderland kind of city! If you get a port or summon there it would seem you can do the crystal q to port up and down to and from dalaran at any lvl. I just did it at 71. Do you have to be lvl74 to get a port from a mage to dalaran. so in the NEXT xpansion(plz god let there be 1) is Lordaeron going to be the neutral city? But you have to be fast before the players make Heartstone in Dalaran. 5. After meeting the Dalaran Flight master (in Krasus' Landing), players can pay to fly there from nearby flight masters, via a Flight Path previously found that links to the city. What region is Dalaran located in? There is a quest in Dragonblight called Blightbeasts be Damned! that you can get at 72. This quest provides you with a flying mount to kill a few mobs. The area you kill them in (Icemist Village) is close enough to fly into Wintergrasp (or log out while on the flying mount and it will put you at a Wintergrasp graveyard). If your faction controls Wintergrasp Fortress you can run to it and use the portal to The Violet Hold. Tada, Dalaran at 72 with no help from anyone. Anyone can get in at level 74 i believe, and mages can portal any level there -providing they have learnt it, and it is in the Crystalsong Forest. 1) Are there any portals in Dalaran like you have in Shatt? 2) Is there an auction house? 4) Are there also 2 factions to choose from? Where the hell is Dalaran! Fishing in Dalaran requires at least 430 Fishing, 525 to avoid losing catches. Are there portals to major cities like in Shattrath? If so it would be convenient to just be able to make my hearth point there like I did in Shatt so I can go anywhere I want easily. Dalaran in the sky, with mages. It's called Crystalsong Forest, North of the Dragon Blight. But general idea. They have it split off into Horde and Ally. If you are Horde, you can use the flying mount you get in the quest Blightbeasts be Damned! (available at lev 71) to fly up north into Wintergrasp (there might be an alliance version of said quest too). When entering Wintergrasp the mount dissapears and you drop down to the ground. By some dodging of the few roaming lev 80 mobs along the way, you can make it inside the Keep and use the portal to Dalaran there. For this to work your faction must be in control of the keep though. The music that plays sometimes here in Dalaran is quite possibly some of the best in the game. Is it just me, or is the Scribes' Sacellum larger on the inside than the outside? Go down into the sewers. Find the middle of the system, where the duel rings are. Since the Dalaran sewers is basically described as the place where the wizards pour all their failed potions and concoctions, its a pretty neat reference in my opinion! The easiest and best way to get to Dalaran for the first time is possible at level 74. Go to your respective Faction city in Dragonblight (Agmar's Hammer for Horde) and there is a quest giver there with a quest Magical Kingdom of Dalaran or something like that accept the quest then talk to him again...he will then port you to Dalaran. Dalaran reminds me of and looks alot like Vane (the magical floating city from the Lunar series). Which is pretty cool imho and it would be even cooler if somewhere down along the line we get some kind of "Dragonmaster" title for a future achievement. If A'Dal was the kind of leader of shatt, who is the "leader" of Dalaran? Personally i dont like Dalaran. I have an O.K computer and when i go there i get a minimun of 4fps and max of 10fps. It isnt the FPS but the amount of people communicating that makes the place ridiculously choppy. Also I cannot find the AH because when you ask a gaurd where to go it is not specified like other capitals it just says to go one part of Dalaran and search for yourself. When I first came to this city via Warlock summon, I was in front of the Violet Hold. I walked out into the main square, then the "intro" music played. I was just absolutely flattened by the music. I was expecting a dull, boring theme like Shattrath has, but this is... amazing! There is an inn in the sewers, so if you have a less than stellar computer and don't want a massive amount of problems when it comes to FPS, set your hearthstone here. As of patch 3.0.3, there isn't a mailbox here, but they're adding one when 3.0.8 comes, which should be soon. Getting to the sewers is possible in multiple ways. There's an open tunnel into it, but you can also drop down through the well somewhere in Runeweaver Square. The Arena battlemasters are located in the sewers as well. I remember watching a beta video showing training dummies down here, but they appear to be gone. Or I'm blind as a bat. There's a toy shop on one of the corners of the Square; From there, one can purchase a Train Set, which when you use makes everyone around do a /train emote. Also, single use "pod racers" and paper airplanes are for sale here. All you need to do is try it and you'll learn that Alliance can't enter Sunreaver's Sanctuary, and Horde can't enter The Silver Enclave. This type of segregation is a god send to my crappy computer, cause I can hang out in the less crowded Alliance only area. There are some epic trinkets, sigils, idols, etc for sale in one of the corner shops. "Peculiar" something is what the shop is called. These trinkets / etc can be bought with Emblems of Heroism and require level 80 to equip. Since I only have high level Alliance characters, I'm not sure about the Horde side, but some of the upstairs rooms in the inn house some vendors who sell level 80 epic gear, such as belts, as well as bind to account items. These cost Emblems of Heroism to purchase as well. I would imagine that vendors are in rooms of the inn in Sunreaver's Sanctuary as well. I've seen several people ask where the flight path is in this place. It's in the north east corner of the city at Krasus landing, just past Francis Mei and her mounts. You have to go into the building at the corner and up the stairs, not down into the sewers which I've seen people do, then wonder why they're lost. Also of note are the leaders of Dalaran. Rhonin, the head honcho, and his wife, Vereesa Windrunner, are standing in the Violet Citadel (which also has a port to the Caverns of Time, up in the back). Unfortunately, they don't have unique models or unique voice sets. In fact, Rhonin is silent, but I don't remember about Vereesa. As for that portal to the Caverns of Time, you don't need to be revered to use it, like previous portals. I thought this was rather strange, but has anybody noticed the light that you can interact with in Dalaran? It doesn't seem to serve any purpose aside from flickering on, then flickering off. It's in the horseshoe-like loop of the Magus Commerce Exchange right before the store "First to Your Aid". I dunno if this was posted yet, but the sewer entrance/exit to the city is at 21,47 for the Crystalsong Forest map and 10,87 for the Dalaran map. Big hole in the side of it, always fun to fly out through there. 2. Once you come out, walk left until end. New Shattrath. BEWARE OF LAG! At some point when you fly up to Dalaran. Inside the city you will get a raid warning message that tells you that you will be dismounted with a certain amount of time as shown in the upper corner. Sometimes when standing near the flightpath guy you can mount up on your flying mount and take off. While other times it won't allow you to use your flying mount. Probably some bug that sometimes allows and sometimes prevents you from taking off on a flying mount. There's a well in Dalaran, jumping in it will get you to the sewer system of Dalaran (as well). Fishing Skill of 430 required to fish in Dalaran. has anyone else had a bug where when u log out in dalaran when u log back on you get disconnected from the server? Technically, it has at least 2 Mage Trainers, but since Mages can teleport to the city it doesn't have that much of an impact. Just think of Dalaran like a pally that bubble-hearthed with a 3 year casting time. this is all well and good, but i have one question that i cant seem to answer via the blizzard map. where the f-k is it? Most people reporting lag are suffering from low FPS, which can be fixed by upgrading the computer. Here are some suggestions. RAM: 2GB of RAM for XP, 3-4GB of RAM for Vista. It will not be the best for other games but definitely enough for WoW. On a side note, Starcraft 2 and Diablo III should both run on it pretty well. Blizzard is not pushing graphics in either of those games. My old machine had these specs and ran WoW pretty well. Just built a new one for the future demanding games though. Wintermetal's comment has no relevance. This is a website for useful information, not for telling others what you look forward to. Anyone else noticed the giant corcolisk in the sewers? I just noticed it, and if you want to find him he is under the grates outside the black market. was implied that Rhonin may be the leader of the new Dalaran, Jaina being on Theramore Isle and Khadgar now in Shattrath. Correct me if i'm wrong, but Jaina, (like Athras and Sunstrider), was merely sent to Old Dalaran to train as a mage under the Kirin Tor, and allthough one of, (if not the most), gifted students they ever produced, she was never in any way a part of the leadership of the Kirin Tor and thus would not logicly be involved in New Dalaran's rulership. Does anyone know where I can find a gem Vendor in Northrend? Where is the daily hc quest giver? On my 74 Rogue, I just accepted the quest to take the port into Dalaran. After the load-screen, the game froze for nearly a minute and I was disconnected. I tried logging in again, but once again the game froze and I was D/C'd. Now, my computer isn't the best (Intel Pentium IV, 64 MB Intel Extreme Graphics Card, 512MB of RAM), but I get an average of 20FPS in all areas in WoW. In Shattrath back in TBC days, It dropped to a miserable 5 FPS. But now it seems that Dalaran is even more crowded since the expansion hit just recently and all the level 80's are sitting around here, lagging the place up. I played the WOTLK Beta and I got perfect FPS when nobody was around Dalaran. People may say "upgrade ur pc nub, gtfo", but I don't use my PC for a lot of the high-requirement games. WoW is something that my crappy computer can handle decently, and I know that there are a lot of WoW players that are like me. It's unfortunate that Blizzard didn't learn that adding one sanctuary city in the new continent would be a huge inconvenience for players with low-spec computers, and I was really expecting they'd just have two faction-separated cities or zone out the area. Is it just me or does Dalaran look a bit like Cloud City found on Bespin from the Star Wars movies? I just paid a mage 5G to teleport me to Dalaran, and got the flightpath, then I took the zeppelin to Howling Fjord and rode across the zones towards Dalaran, grabbing flightpaths, until Dalaran became available as an attached flightpath. I did this as a level 34 mage. For the longest time I was searching for what Horde FPs you needed to connect from Borean Tundra to Dalaran. To do this, you need the Kor'kron Vanguard FP (northwestern Dragonblight) and the Agmar's Hammer FP (just east of Azjol-Nerub). These will connect you to Dalaran. I didn't see any posts about this already, but, if you plan on going to dalaran, and you don't have a pretty decent computer, you're going to get much lower framerate along with lag issues. From what I've read elsewhere, it's because so many people are in such a small area, and your computer has to process more which eats up framerate. My comp has a 3.06 ghz processor, 256 mb video card, and I avg. 10-17 fps there. I have seen quite a few players in Dalaran on a flying mount, though this is only allowed on Krasus Landing, anyone has an idea on how they do that? The reason for not having flying mounts in Eastern Kingdoms and Kalimandor, is because all the capital cities are roof-less. That means every 15 mins the opposing faction is going to come in, fly straight to the leader and kill them. The hard parts are getting in Undercity and Ironforge. Go Get The Map Viewer,Then..For A Test,Try Looking At The Old Town(In SW) From Above At A Far Distance.See?That's Not All,Try Looking At The Second Stockade Like Building There.Enter It,Then Go To Where Instance Door Must Be.Then Enter The Dungeon,Go Through That White Hole And..YES!You Are Under Stormwind. Blizzard Is Not A Wizard.It Can't Create Everything.If It Would,I Assure You,WoW Wouldn't Even Be Released Yet.So It Had 2 Options:Create Some Masks,Unreachable Places That People Think Have Something Inside,Roofs That Do Not Really Exist And Damn,RELEASE THE #$%^ING BEST GAVE IN THE WORLD!YEAH EVERQUEST SUX! OR Work 8 Year Longer On This &*! @ING BEST GAME IN THE WORLD!YEAH RUNESCAPE SUX AS WELL! Any player who is already in Dalaran can transport their party members there by joining a battleground as a group. Upon leaving the battleground, all group members will appear in Dalaran. This requires that the group members be in the same PvP bracket as the party leader. "Players will now be able to queue for battlegrounds from any location. Leaving a battleground will return you to the location from which you entered." I'm curious as to how/where I can view the city map since it's nowhere on the Northerend map (or at least I can't find it). Kinda wierd but any1 know whats up with the lamp u can turn on in the commerce exchange? I am pretty sure Jurre was talking about how players seem to be on their flying mount in the streets of Dalaran (which is a no-flying restricted zone). This is achievable by using the portal in the Violet Citadel to reach the Purple Palor. Once there, if you pay a visit to the balcony you'll notice that you're able to mount on your flyer of choice. Once mounted, you're able to fly down to the streets of Dalaran and remain mounted. Although, for reasons I'm not too quite sure of you sometimes do get the restricted zone warning and you're forced to demount. In that case, just go up to the Purple Parlor balcony and try again. Dalaran was telaported away from Alterac Mountins during the third war when archimonde attempted to destory Dalaran.I've also heard the scourge attacked Dalaran.But i do not know wich time Dalaran was sent to northrend. It does a emote like 'The crocidile (can't spell the WoW version) looks hungrily at <name>' or something like that. It can't attack or anything. I have discovered a few ways to actually enter Dalaran using a flying mount (without getting dismounted). They are a bit tricky at first, but once you've done it it's not very hard. All you have to do is fly at the right spot, and at all of the places you have to fly close to either a wall, a house or something. I'm going to post a screenshot too, so you can see it's for real. Can't use your flying mount in Dalaran except in the Sanctuary where the Flight Master and Cold-Weather flying trainer is. I noticed now that you can mount flying mount in the purple parlor balcony, and then fly to any of the locations a mentioned. dalaran; hey guys, lets do the same thing we did with shattrah but make the city twice as small and with alot more effects. not only that but lets make it so u have to do your dailies here and other things so everyone is here at once. Any easy way to get to Dalaran at lvl67 is to get yourself killed in Icecrown, fly to a Wintergrasp graveyard where you will be automatically resed, you can then use the portal to Dalaran and grab the Wintergrasp flight path at the same time. This city reminds me of the large flying city of Laputa in Gulliver's Travels, written by Jonathan Swift the year 1726. Laputa was inhabitated by various educated people and scientists who failed to use their intellect for practical purposes, and therefore the protagonist Lemuel Gulliver mocked them for their stupidity. Jonathan swift was a master of the art of satire, and this story was most likely aimed at the scientists at his time, who he believed, did nothing of use. I believe the main difference between these two cities is that Laputa is having the ability to fly through magnetic levitation while Dalaran is simply magic. And we are in luck there, what would happen if the pilots of Exodar would get their hands on the steering mechanism which would drive Laputa? As for the Well enterance to the sewers its propaply an referance to Mario Bros games, down to the pipe yo! In 3.2 you can now fly over Dalaran along with Wintergrasp unless you are too low to the ground I guess. The reason Dalaran first was in a bubble was that Archimonde destroyed most of its city and they wanted to protect it while they were fixing it....or the other explaination is that a paladin tried bubbling inside the city and the magical energies all around him increased the size of the bubble and then it completely encircled the city. He then hearthed which brought it to Northrend. Dalaran, a nice city. Very laggy, because everyone is there. Keep hearing alot of gripes about bad lag while in Dalaran, went there yesterday for the first time on my current server and didnt have any issues with lag, everything was as smooth as everywhere else. So not sure what the issue is with people who have bad lag, and I was there durring peek time it was very crowded. You actually have to go to Dalaran before the portal on the ground is available via the quest. This might be new for the latest patch. I was outside Violet Hold when a "Pool of Blood" spawned in the water. It looked like a fishing node but I didn't have a pole with me. Lasted for a few minutes then vanished. why this city has been regrowed in northland? wath make this? or who? and wath is the result of 108342631321863281317351735317351537153175 x 132132132313314123412341 ? Finally, some peeps have realized that Nelfs + space goats ruined almost everything in Draenor AND in Azeroth! 1st off, as he said, the Nelfs brought the BL to our planet through haphazard magic use. And 2nd, Draenei had Kil' Jaeden hot on their heels when they settled on Draenor, so he arrived, corrupted the orcs, turned Ner'Zhul into the Lich King, yada yada yada, you know what happens. So, in conclusion, even though i hate blaming, those two races made complete donkeys of themselves by causing a chain reaction of events that utterly ruinated two perfectly fine worlds. Oh, I was a little late to the lore party. Sorry, this may sound stupid, But is there a LvL requirement for the portals to the major cities? Can't stop thinking about that when I think about this castle in the sky. Missing from the list of Dalaran NPCs: Jones. With the new patch and the new LFG system, theres a new way of entering Dalaran. Costs a couple of bucks and possibly a few &*! @ed teammates, but gets you right in the center of Dalaran! And you are a bit wrong, blood elves are former high elves. I go to Crystalsong forest then I have low fps. i have a lvl 45 priest who is doing enchanting n skinning, my skinning somehow w/ out me trying got to 300 very fast. usually u are about 60 when u get to 300 n need to train for master. well i just had my husband use his 80 mage to port me to dal so i can train n i had a great idea. dont know if ne one else has done this yet but i made dal my home so i can hearth there n get to ne other city easily. as lvl 45 its helpful so i dont have to fly or run somewhere later on. just a thought here. if ur low lvl n can get a port to dal do it n make it ur home. i thought it was brilliant. Oh that one's a good joke! This is a place Arthas ruined and later Archimonde. The city was enormous and had lots of citizens. This is also a spawning pool for scourge leaders. In wrath more than half of undead leaders were once Kirin Tor mages. And now the city is tiny. Its like as big as the auction house area in orggrimar. Its smaller than the Dreanei ruins city Shattrath. Unbelievable. It makes lots of people angry because of lag from there being such small space to move. The city is nothing compared to warcraft 3. It is SO much fun running off the Purple Parlor with levitate! try it sometime. Anyone else notice that the latticework in the banks and the Legerdemain lounge are now sealed up? Very odd. actually after fighting the trolls for many years and after many died and they lost the sunwell they claimed the name of the blood elves broke ties with the alliance and joined the horde. Can anyone explain why they removed all the portals from Dalaran? It seems really annoying to do that especially since many were using those portals to get lower levels around the cities faster. With the recent Shattering of Patch 4.0.3, there is now one of those Steam-Powered Engineer Auctionmaster guys that anyone can use hanging out with all the old emblem quartermasters. I'm not totally sure if that's worth the loss of the major city portals, but i'll take it. i have to go see his, where? Quests have always been a pain. I always found myself traveling across the zone back to turn in the quest just to travel back across the zone again. This link http://82da2yo6t6pk7lepvqatqc6s1l.hop.%^&*! @#$%.net/ helped me cut my questing and leveling time by 75%. If you really want to get the most play time out of the game I highly recommend that you look into this site. I just want to say that the name "Dalaran" came from the swedish province called "Dalarna". Im only assuming this since there are so many other norse gods (thorim, freya) and vikings (vruykyl) and things from that area. I stopped playing a year ago and then got Cata expansion. I was in Dalaran prior to upgrading and when I logged in viola no ports back to the cities. Am I stuck in Hotel California or something. Do I need to get a mage or DM to get me outta here...? What is the best way to Leave Dalaran? JUMP? Thats what I get for sleeping through the cataclysm. not quite updated for cata.. cold weather is available at lvl 68 now, and for 425 g and tome of cold weather flying is most likely not available anymore since it's available to train at 68. Patch 4.1: There is once again a portal from Dalaran to Stormwind City and Orgrimmar. If you can't fly, there are crystals that port you to the ground. but not for very long, as it is just a very small achievement there. 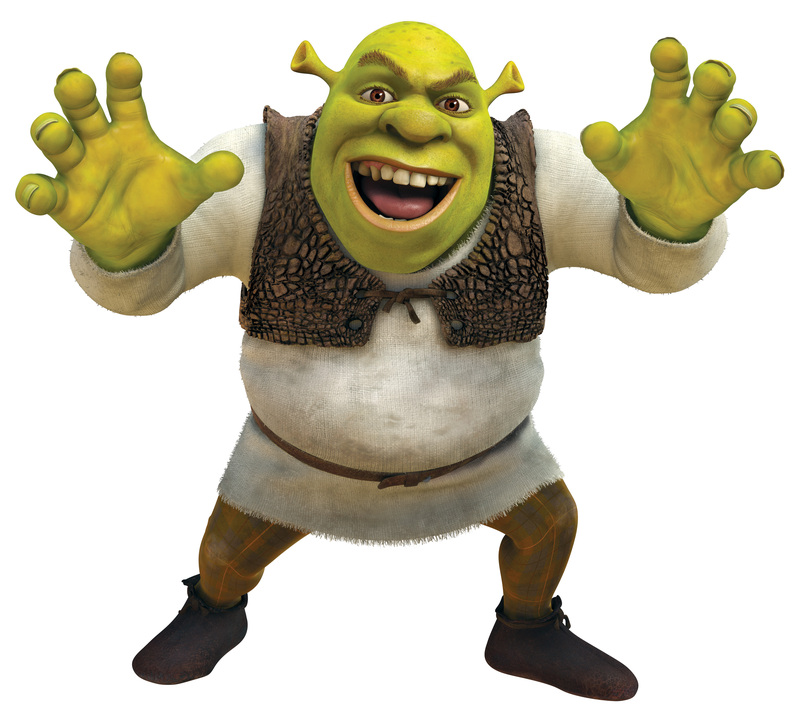 It's known that World of Warcraft is based on fairy tales: In WoW, Orcs are based on Shrek, Dwarves are based on Snow White and the Seven Dwarves. 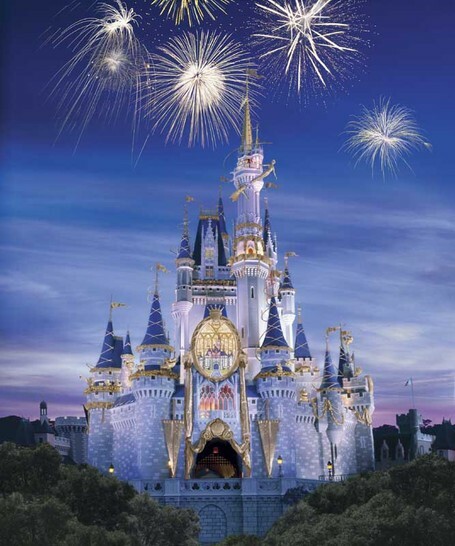 What's next, The Magical Kingdom of Dalaran? I'm pretty sure that after you use Feu d'artifice de Dalaran in front of The Violet Citadel, you'll see the imagination. EDIT: Theramore isn't destroyed when you are still using the zone for a quest hub, it only changes after you do the scenario. What are all these lousy Sunreavers still doing in our Alliance city even after completing the full Shieldwall quest chain and it being 5.2 now? "Citizens of Dalaran, the Scourge are invading!" "We should lock our doors!" "We should call my nephew!" "We should dig a moat!" "We should take Dalaran... and push it somewhere else!" and the portal to Hurlevent can be found in The Silver Enclave @ 40, 62. The MapID of Dalaran is 504. This is used for any WoW API function that requires a MapID. There is no fishing daily for L’Exodar. There is no fishing daily for Lune-d’Argent. There is no cooking daily for L’Exodar. There is no cooking daily for Lune-d’Argent. I thought I would post this due to changes made regarding the map of Dalaran, or rather access to it - hopefully this was the most appropriate place to put this comment. I have not been able to access the city/zone/sanctuary map of Dalaran for some time in-game, when I am NOT in Dalaran. It will display as it should when I am in the city, no problem. The only workaround I have found is here, thanks to Goodwinn! In Legion, WoW's newest expansion, They're moving it above the Broken Isles, below Suramar, to the right of Azsuna, and to the left of The broken Shore! Its also the main hub! It's been nearly 8 years and I never noticed the balcony of the Violet Citadel had its own BGM. It's pretty. Citizens of Dalaran! Raise your eyes to the skies and observe! Dalaran uses Mirror Image just like mages! During the Legion Pre-patch we have Dalaran in Northrend, above Kharazan and technically in the Broken Isles! For the next incarnation of Dalaran, and I know it's gonna happen sooner or later, I suggest blizz to make just 1 room instead of torturing themselves with the city. Just 1 room, not even big, just 1 room with all the NPCs, trainers, masters, vendors, portals, ... in it, so the entire realm, or more probably more realms can be on the same spot at all times.